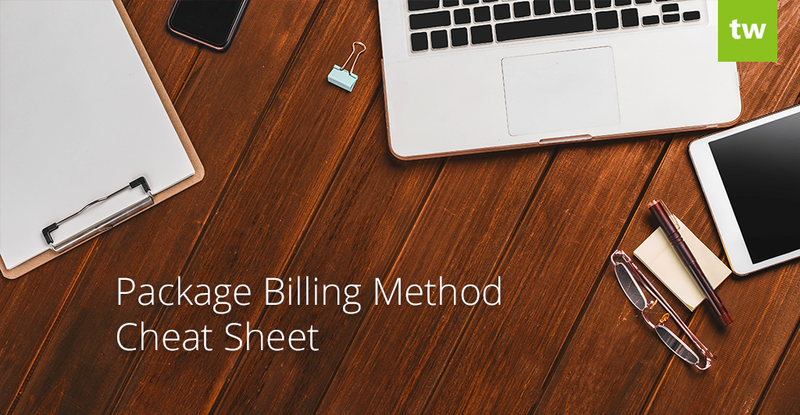 Teachworks supports a wide variety of methods for billing students. 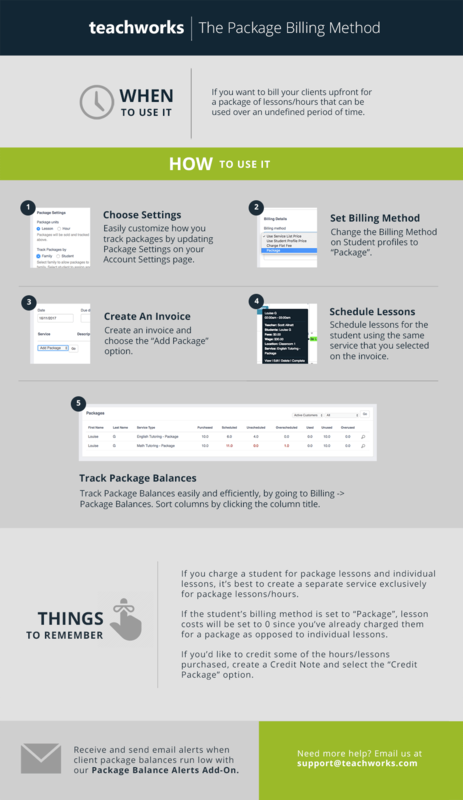 We often get questions related to our Package Billing Method, so we’ve designed a cheat sheet to help you get started! You can also visit our tutorials page to view a step-by-step video tutorial or image tutorial.